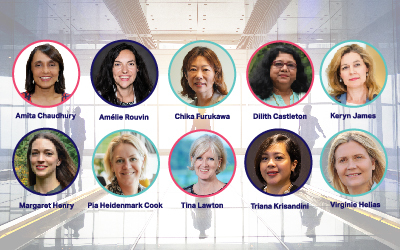 8 March 2017: The World Business Council for Sustainable Development (WBCSD) announced the first 10 recipients of the inaugural Leading Women Awards, developed to recognize outstanding female leaders within the WBCSD membership. 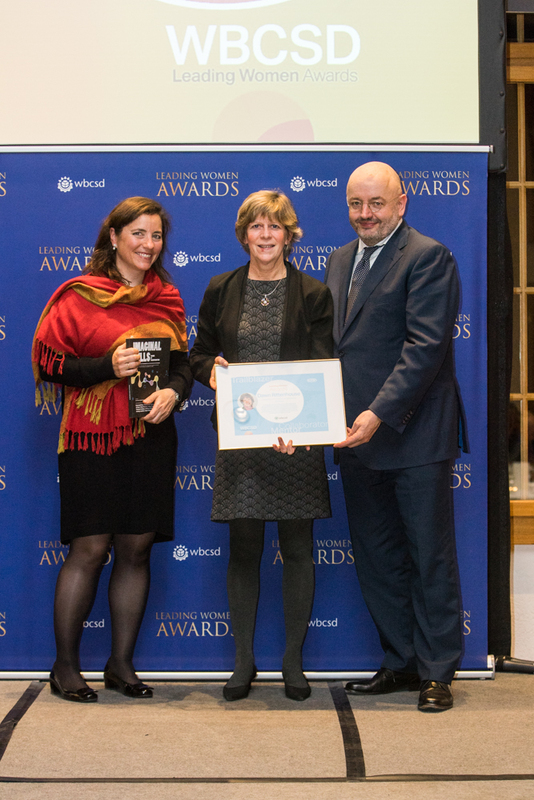 The awards, which were announced on International Women’s Day, showcase the business leadership of women in WBCSD member companies who are working to contribute to the Sustainable Development Goals (SDGs). 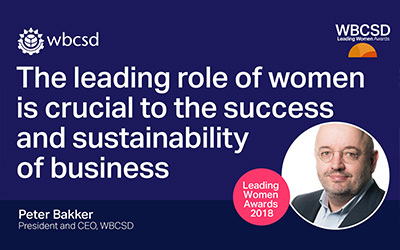 WBCSD launched the Leading Women Awards as a contribution to the goal of SDG 5, which aims to achieve gender equality and empower all women and girls by 2030. For two decades, Dawn Rittenhouse, director of Global Sustainability, has been the engine driving the integration of sustainability into the strategy, product innovation, management practices, and policies of DuPont. Under her leadership, DuPont became one of the first U.S. companies to sign the U.N. Global Compact, was the first U.S. company to appoint a Chief Sustainability Officer, has set and achieved consistently more progressive sustainability goals, and has been a consistent, vocal proponent for global action on climate change. 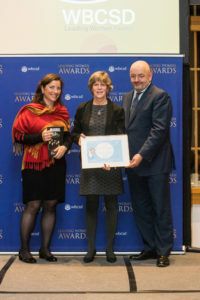 Through her work at DuPont and external leadership, DuPont has helped catalyze awareness of and action on several SDGs. For example, Dawn has led the conception, enactment, and achievement of three generations of DuPont corporate footprint goals focused on emissions. In 2015, the company announced its 2020 Sustainability Goals, including a goal to achieve a 7 percent reduction in GHG emissions intensity (2015 baseline) and continuation of its goal to achieve a 10 percent improvement in energy intensity (2010 baseline). In addition, Dawn has led the charge to not just focus on DuPont’s environmental footprint but to also embed sustainability considerations directly into the company’s R&D and innovation processes, where we can have the greatest impact. Sustainability is a term that can mean different things to different people. What does it mean to you? What do you think people often misunderstand about sustainability? Since my sustainability perspective has been from the corporate vantage point, I have always liked DuPont’s definition: creating shareholder and societal value while reducing the environmental footprint along our value chains. I think that language is consistent with business fundamentals so sustainability doesn’t feel like a foreign concept. While it can be confusing that sustainability is often defined differently by different people, I also think that can be very powerful. If we want to transform into a society consistent with the SDGs we each must see where we can make our contribution. The definitions don’t have to match, they just need to point us in the same direction. Sustainability is a relatively new discipline within corporations (compared to say, accounting) and you’ve worked in your capacity as DuPont’s director for ~20 years. How have you seen the space change? I started working on sustainability at DuPont in 1997. At the time, our focus was on reducing the footprint of DuPont operations. When I attended meetings, like the World Summit on Sustainability Development in 2002, the conversations often cast corporations as the problem. 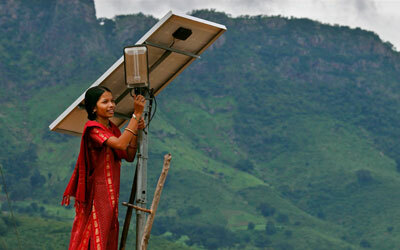 Governments and NGOs didn’t welcome business to the table. Now, those same entities understand that companies are an essential partner that can deliver the innovative solutions needed to help solve our sustainability challenges. The problems are so challenging that no single entity can solve them alone; we need governments, business and civil society working collaboratively to achieve the most impact. It has been great to watch the mindset evolution and start seeing some of these powerful collaborations working to find solutions to challenges like the SDGs. What are some of the biggest challenges to implementing a sustainability strategy in corporations today? For large companies that have been around for a while, invested capital is a major challenge. Once an investment is made, it can be difficult if not impossible to change course. It makes sense when approached from a personal level. Take your car as an example. Every day you can try to drive fewer miles, carpool, or use public transportation but you only get the opportunity to make the big decision on what car to purchase occasionally. Corporations have the same challenge – once we have invested in a new facility, it may have a lifetime of 30-40 years and it is very difficult to make major changes. It’s is a similar concept in product development – if you don’t consider sustainability early in the process, decisions are made that limit the ability to really make a difference in the sustainability impact of the product. Another major challenge is that when we bring new, more sustainable products to the market they are often more expensive than the incumbents because we have not had the time to scale up and become more efficient. One example of this is bio-based materials, which can have a hard time competing against fossil-based materials. I believe that as a society we really want to solve the major challenges such as assuring there is enough healthy and nutritious food for everybody, reducing our dependence on fossil fuels and protecting people and the environment. For an innovation-focused company like DuPont, there are so many opportunities to develop new products and services that help solve those challenges in a way that both creates value both for society and our shareholders. Why are you optimistic about the future of sustainability in the business community? Why are you not optimistic? I think that people who work in the sustainability area are by nature optimistic. The challenges are huge and on lots of days it can feel like we aren’t making any progress. But if you look back a few years, you can see the real progress that has been made. I believe that the next generation, the Millennials, who are now the largest generation in the workforce, will push their companies even harder to make a difference. Companies that understand sustainable value will differentiate themselves and attract and keep the best and the brightest young talent. How do you think corporations should be engaging with the UN Sustainable Development Goals? Going back to the first question, the SDGs are a way to create a common language and framework for sustainability. The SDGs were only released in September 2015, but already companies are linking their strategies and voluntary commitments to the goals and metrics. In time, as governments start to drive policies to assure progress on the goals, business will partner with others to create new business opportunities. Dawn Rittenhouse is the Director of Sustainable Growth for DuPont.